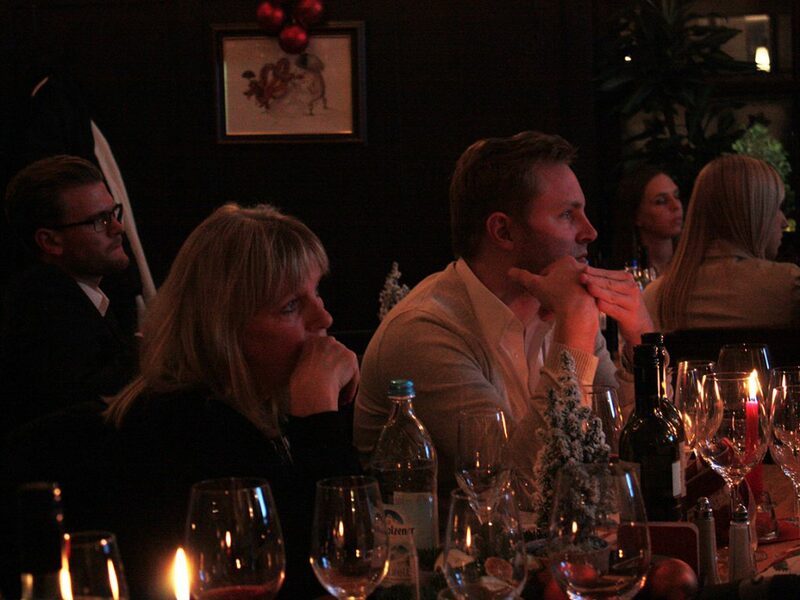 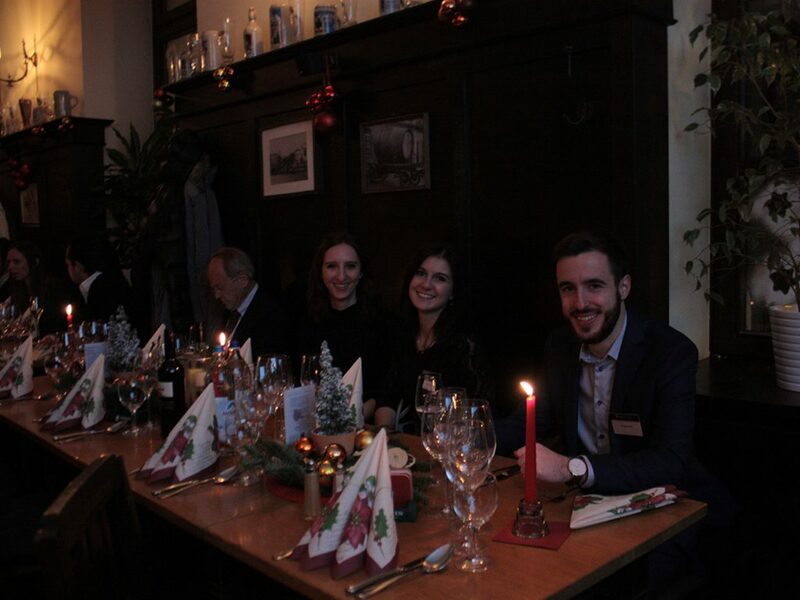 On Friday, Munich Business School hosted a Christmas Dinner for Family Business leaders and entrepreneurs from the MBS universe. 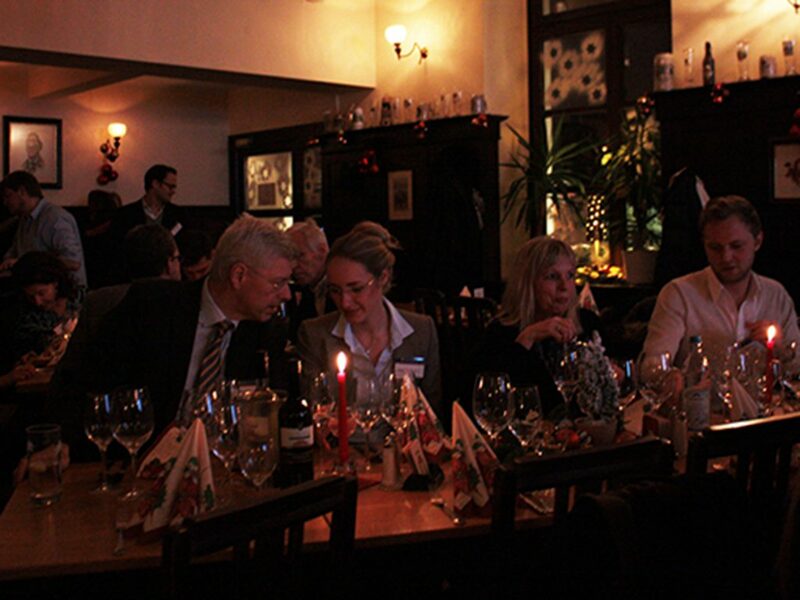 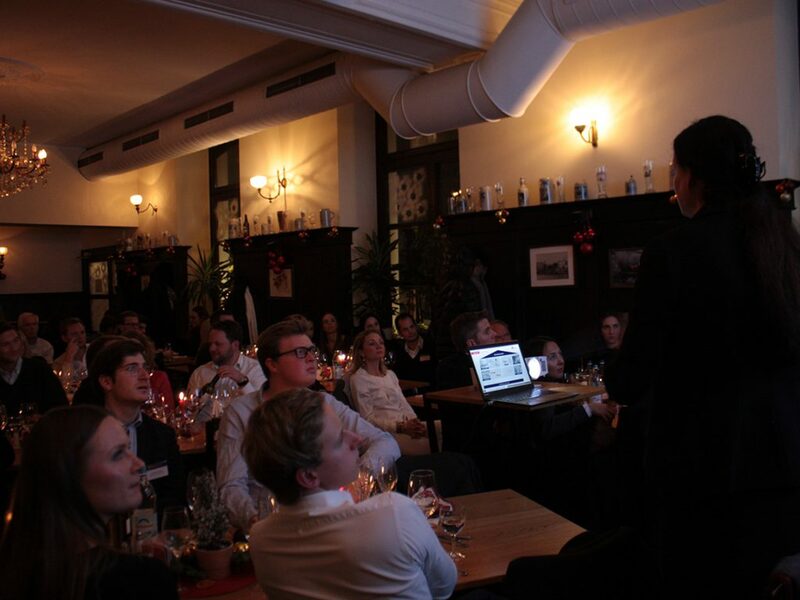 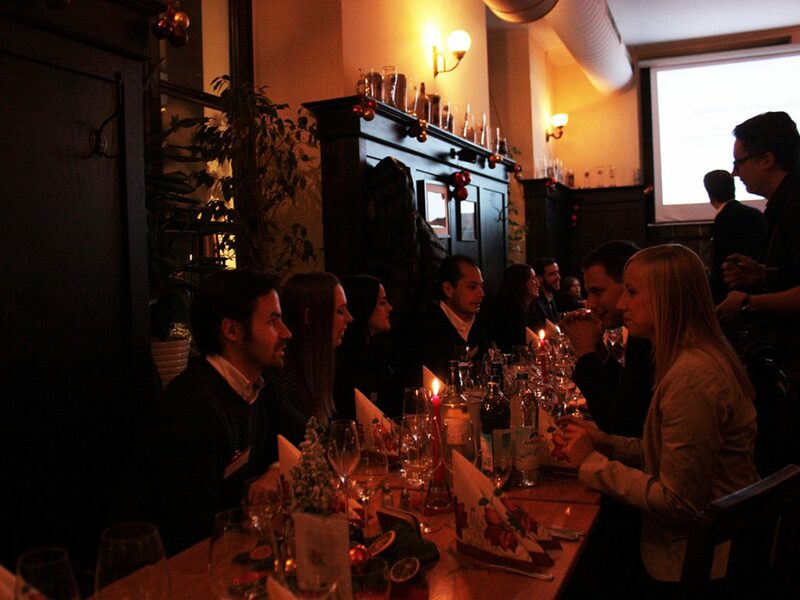 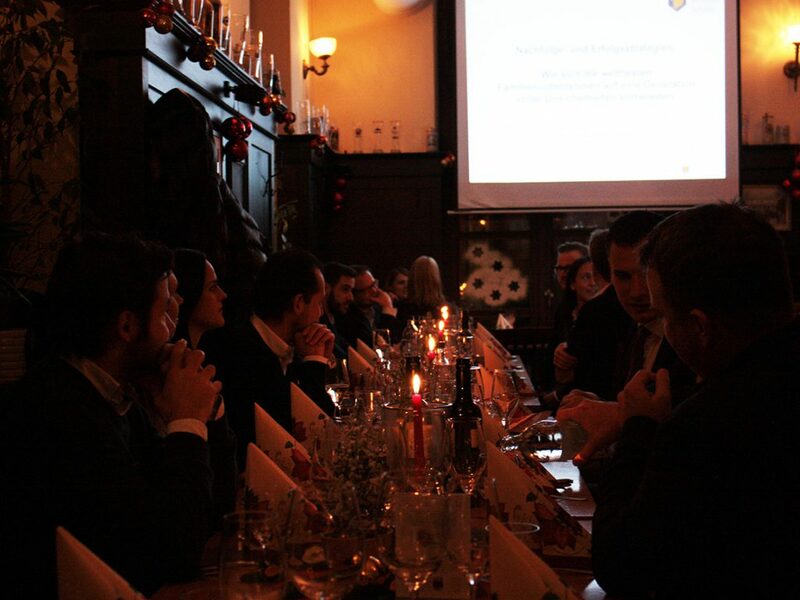 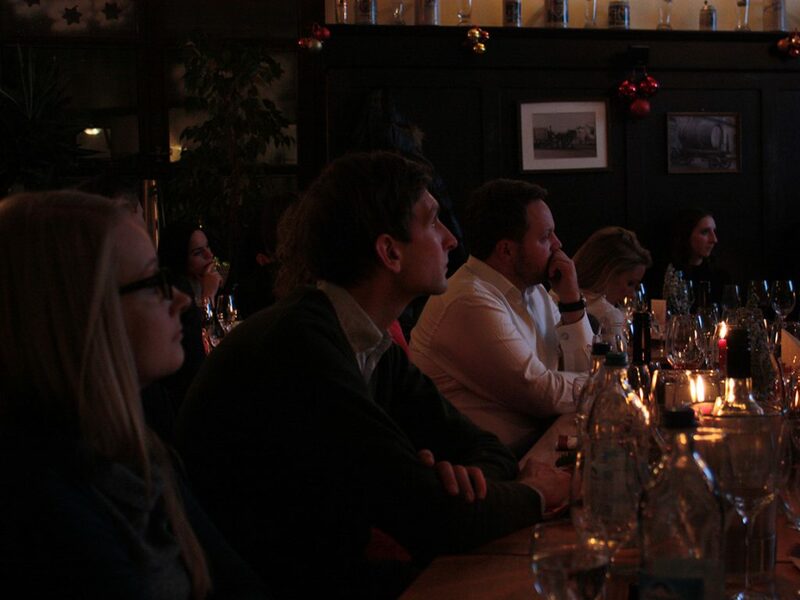 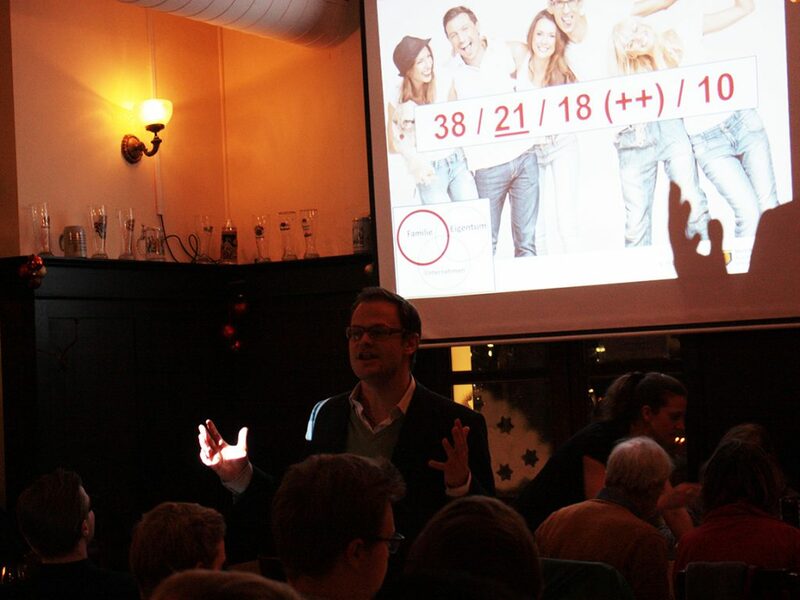 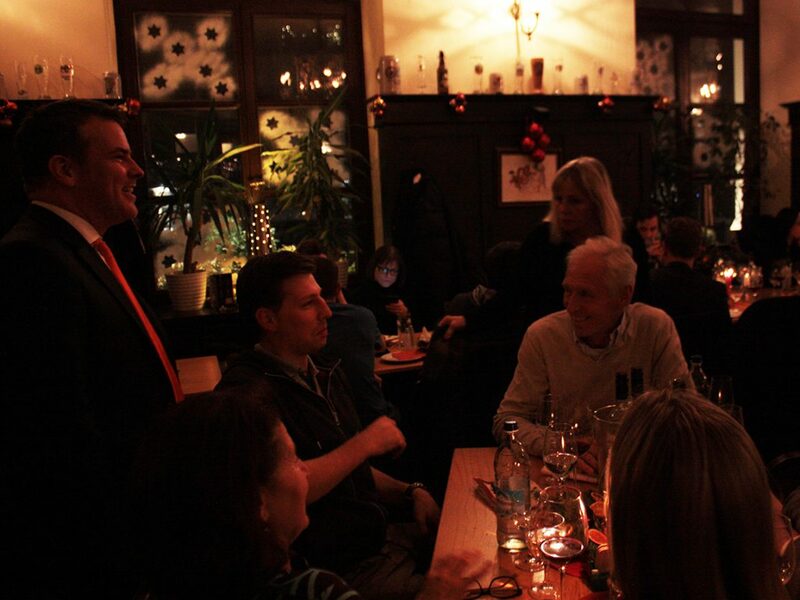 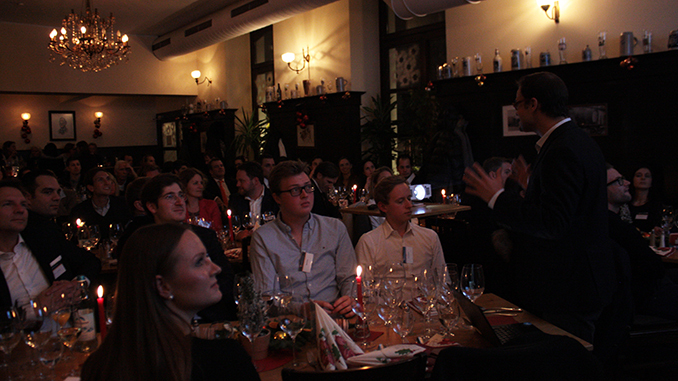 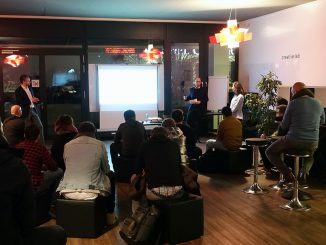 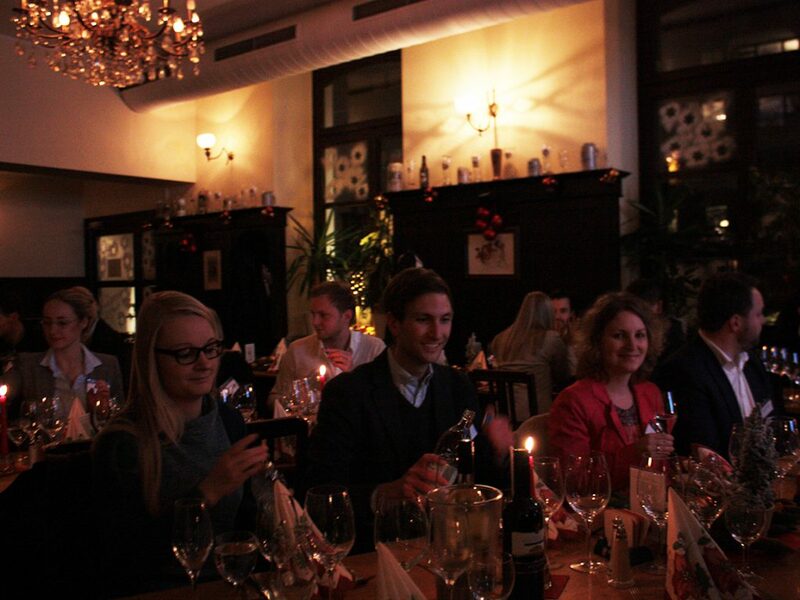 About 50 alumni and current students with family business and entrepreneurial backgrounds had come to the traditional Bavarian restaurant Franziskaner in der Au to enjoy a great evening highlighted by a delicious roast goose menu and expert presentations focusing on family firms. 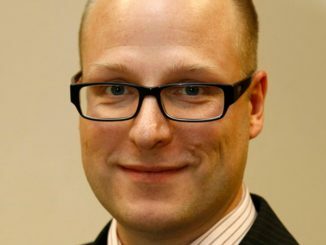 Prof. Dr Marc-Michael Bergfeld, Academic Program Director MBA General Management and Director of the Courage Center of Global Family Firms at MBS, started with his presentation on “Success and Succession Strategies: How the World’s Best Business Families Prepare for a Generation of Insecurity”. 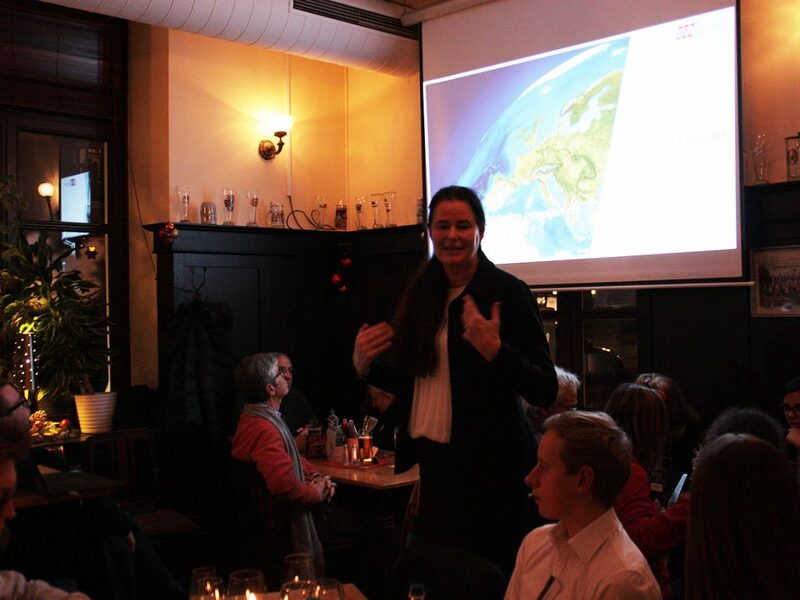 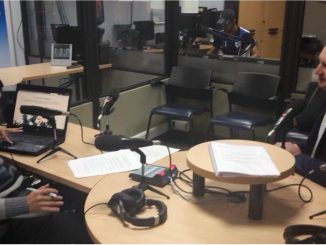 He was followed by Silvia Semidei, Owner and Managing Director of MBS as well as parent company ESO Education Group, presenting “Family Firms in Practice”. 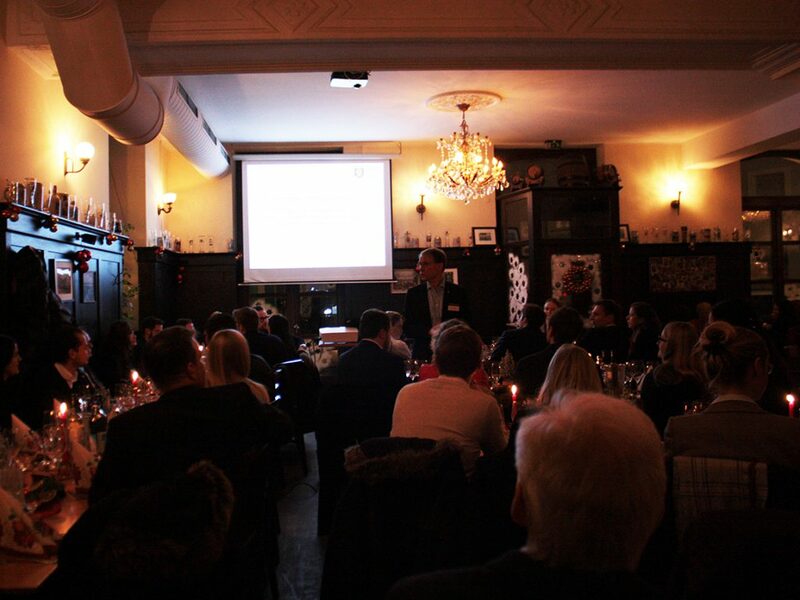 After both the presentations were held, the guests seized the opportunity to discuss the topic and to network with their fellow family business leaders.